Controller Area Network (CAN) is a very reliable, multi-drop asynchronous serial network technology that was originally designed for automotive communications, but has also become a popular bus for industrial automation, as well as other applications. Microchip offers a variety of CAN Transceivers, CAN Controllers, and MCUs with Built-In CAN Controllers to enable these common CAN node configurations. Originally, there was what is now referred to as the "Classical" CAN data link layer protocol, originally developed by Bosch as CAN 2.0A/B. This was standardized in the ISO11898 series standards beginning in 1993. In order to address bandwidth limitations as well as end-of-line manufacturing delays in programming ECUs in cars, Bosch in 2012 updated the protocol to what is now known as CAN FD (Flexible Data Rate). CAN FD controllers are able to operate in Classic CAN systems, while Classic CAN controllers will generate errors in a CAN FD system. Kvaser have published a useful guide outlining the impact to various stakeholders of switching to a CAN FD design. CAN is a multi-master network, so each node may send its data at any time. Collisions get resolved by priority, through an automatic arbitration process occurring at the physical layer. Messages contain a 11/29-bit Message Identifier. The message with the lowest message ID value wins the arbitration process and gets through. Custom application layer software or other Higher-Layer Protocols (such as J1939, CANopen etc) must ensure the uniqueness of the CAN message IDs by assigning/reserving certain IDs for certain functions/purposes. Messages are broadcast to all nodes, however, multi-casting capability is built into the system by hardware Message ID Filters which are available in the CAN controller at each node. A Cyclic Redundancy Checksum (CRC) is included in each packet, and is checked by CAN hardware on each node of the bus. If a single node reports a CRC error, all other nodes discard the message and it automatically gets re-transmitted. 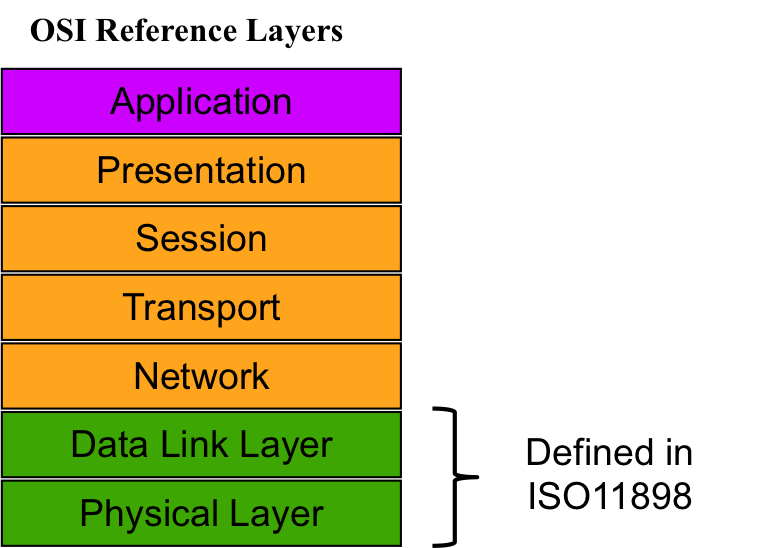 The CAN protocol (ISO11898) defines the Data Link Layer and part of the Physical Layer in the OSI model. 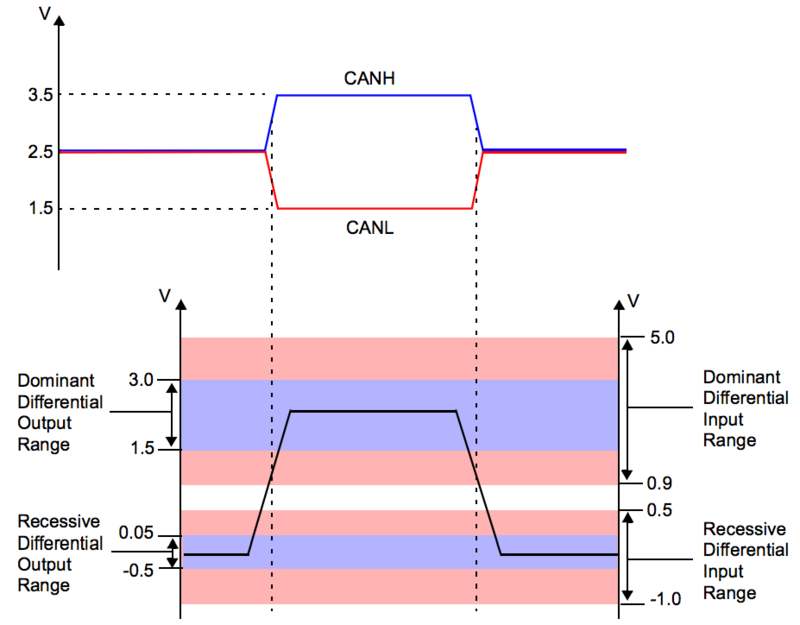 The remaining physical layer (and all of the higher layers) are not defined by the CAN specification. 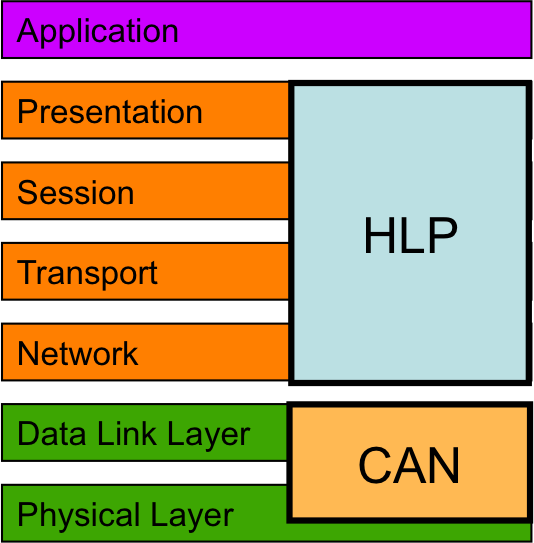 These other layers can either be defined by the system designer (a "Home Grown" stack), or they can be implemented using existing non-proprietary Higher Layer Protocols (HLPs) such as CANopen or DeviceNet.